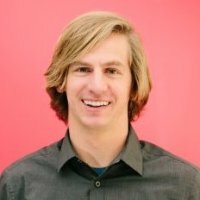 I detailed my 2017 focus here (read that first if you want more context). Here is how I’m progressing. The launch of my sabbath year is slowly becoming a real thing. I’ve taken the first steps to put it into action and begun to lay out logistics. After years of keeping the topic limited mostly to family & close friends, I recently gave my work concrete notice. I had roughly suggested the idea previously to my manager and one of the founders, but there was no firm timeline or next steps associated. There are still a lot of details to figure out, but the fact that I will be taking a leave from the workforce is looking fairly certain at this point. As of now, it looks like the start date will be mid-year – sometime between now and August. This means I need to accelerate my planning a bit more as I’ve been somewhat light on that to date. I’ve not come in any danger of going over the seven hour a week planning limiter that I set for myself. Along with planning logistics, I have done some rough thinking on the overall philosophy of a year of rest. Funny enough, more than a handful of people in my close circles are going through similar processes of taking rest or time away from their primary labor. Though most of those are shorter, in the few month range, their philosophies often share common motivations so we’ve been able to have some great discussion. This year I renamed this particular focus item and changed a few things about it. So far I am extremely happy with the result of that process change. It has encouraged the right behaviors, repeatedly, without any strange side effects or end-of-year rushing. To give one concrete example, I start my week on Monday, so by Sunday I am usually aware of how much time I have remaining to hit my weekly goal and trying to find extra minutes where I can. Walking to church takes about 20 minutes while driving takes about 10 – I typically prefer my mental state after walking but often time pressure & the weather push me towards driving. Lately the extra 40 minutes of outside time has helped tip the scales the other way though and I’ve been walking, even if it is cold or a bit rainy. To me that is one example of a decision I wanted to influence this year. One process change I might consider in the future, however, is a phased ramp up where the goal is slightly easier at first and progressively gets harder during the year. For this year particularly I suspect Q3 is going to be really easy to hit 7 hours per week on account of the nice weather, long days & my break from a day job. I wouldn’t be surprised if a few weeks hit the 30 hour range. As for results, of the 13 weeks in the first quarter I’ve managed to hit the seven hour goal 7 times. This might seem unimpressive, but it was actually quite hard. Seattle winters are cold, wet & dark – none of which make being outside with toddlers easy and all of which increase the time overhead of getting outside (putting on jackets, shoes, gloves, hats, etc.) On top of that I am at work during the day during the week which means there are only a few hours where I am home and the kids are awake and those are usually hours where I’m doing wake up or bed time routines. 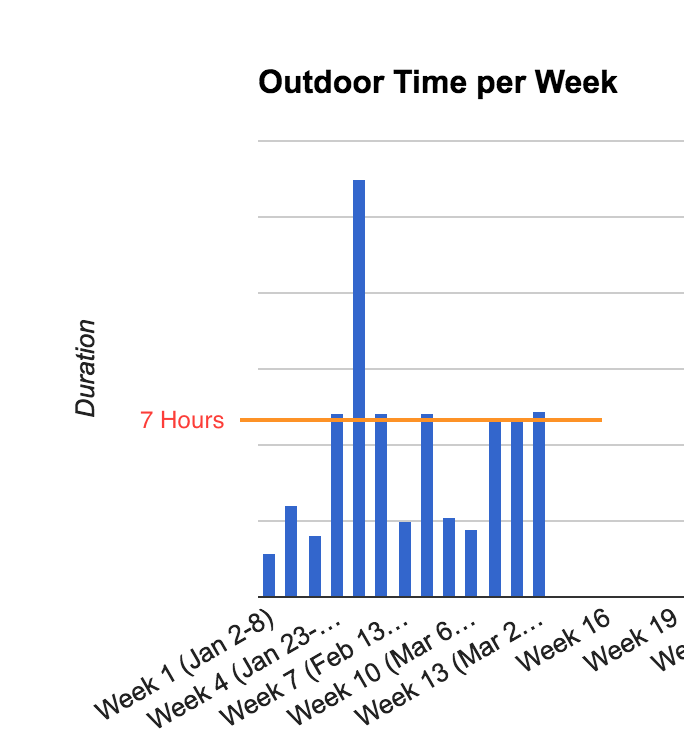 I realized how aggressive the seven hour goal was during a recent vacation to warm weather. My total for the week was only 16 hours and I had nothing to do but be outside. A lot of time is eaten up by nap times, meals (minus a few picnics) and driving to sights we wanted to see. I also took some me time to surf which doesn’t add to the total. 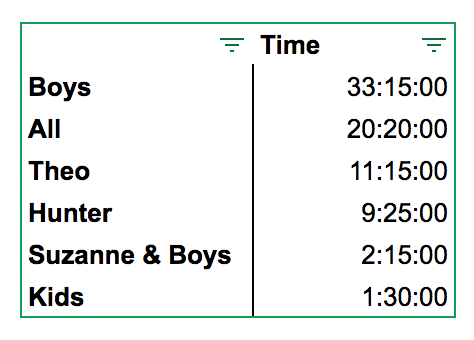 So far I’ve found that if I can get ~2 hours logged by Friday I can usually fit the other 5 in over the weekend. To get some interesting data, along with recording time, I’m keeping track of what activity we took part in and which family member I was with. 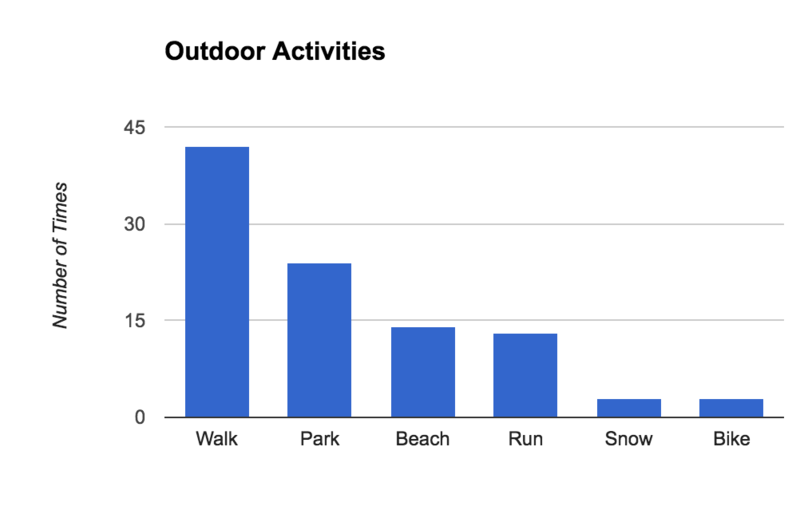 We can see that our primary activity is walking – we do a lot of that around our neighborhood on account of the low overhead. A few blocks at toddler pace takes about a half hour, which is usually all I can fit in after dinner. Most of my time outdoors is spent with the boys, or as an entire family. It is not very often that I have all three kids by myself and am outdoors on account of taking all three out is really hard. I have not once been outside with just my baby girl – I’ll need to change that in Q2. I have been outside with just Suzanne a few times, but I guess I didn’t log those – another thing to correct. 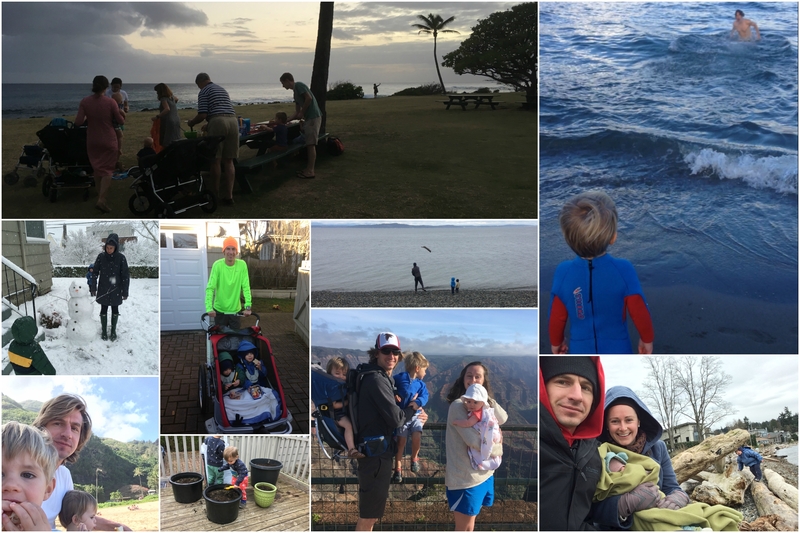 Finally, here is a collage that includes pictures of a few of my favorite outdoor activities from this year so far: New Years polar bear swim, bundled up, running, gardening, picnicking and playing in the snow. I started my study on Liddell by watching the movie that most people know him from, Chariots of Fire. It had been a long time since I’d seen it and this time I had something particular to pay attention to. I really enjoyed the movie. I am now reading a biography about Liddell that came out recently – For the Glory. This seems to be the most in depth one written to date, so the timing is fortunate. What is obvious about him so far is his work ethic and concern for others. Neither of which was my focus for this year, but perhaps I’ll learn more about his sabbath and rest in time.